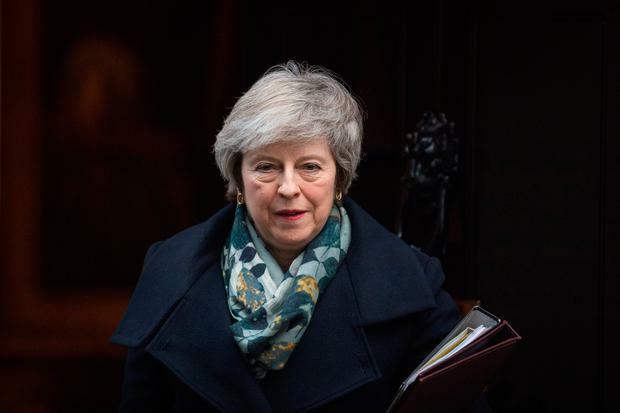 British Prime Minister Theresa May said on Monday that she intended to re-schedule a delayed vote in parliament on her Brexit plan in the week starting on January 14. "Many members of this house are concerned that we need to take a decision soon," May told lawmakers in the House of Commons. "We intend to return to the 'Meaningful Vote' debate in the week commencing seventh of January, and hold the vote the following week." "I know there are a range of very strongly-held personal views on this issue across the House and I respect all of them," she said. "The prime minister has been forced to bring her botched deal back to Parliament under threat of a motion of no confidence in her," a spokesman for the Labour party said. "We will not let her cynically run down the clock to create the false choice between her botched deal and no deal. It is disgraceful that a month has been wasted. We were due to vote on 11 December and there can be no further attempts to dodge accountability to parliament." Mr Corbyn said the "cold reality" was Mrs May achieved "nothing" last week after returning to Brussels to seek further assurances over the Irish border backstop. He went on: "The deal is unchanged and not going to change. The House must get on with the vote and move on to consider the realistic alternatives." Mr Corbyn accused Mrs May of cynically running down the clock on the March 29 Brexit deadline. He said: "The Prime Minister has cynically run down the clock, trying to manoeuvre Parliament into a choice between two unacceptable outcomes - her deal or no deal. "A responsible prime minister would for the good of this country have put the deal before the House this week, so we can move on from this Government's disastrous negotiations. "It's clear the Prime Minister has failed to renegotiate her deal, failed to get any meaningful reassurances - there is no excuse for any more dither or delay."